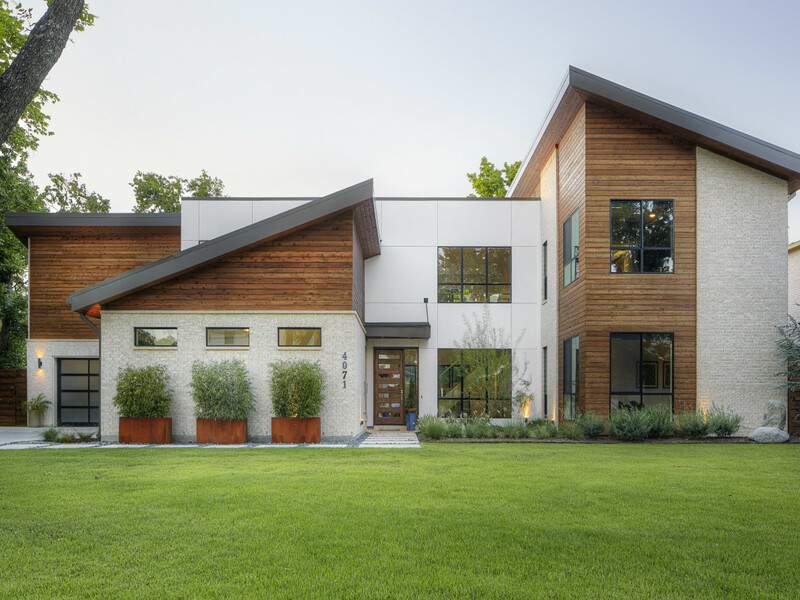 Returning for its second year is the Modern Mile Dallas Home Tour, featuring modern abodes all clustered within one walkable square mile. This year's tour is Saturday, October 1, 10 am to 5 pm, and tickets start at $15. Proceeds benefit Walnut Hill Elementary School. Here's a sneak peek at the five homes you'll see on the tour. Nicknamed the Red Horse Lamp, this 2014 construction was designed by Khaleed Chamie and features 5,165 square feet of modern treasures collected by the owners, including a life-size red Moooi horse lamp that greets guests at the front door. The home's dining table is created from an aircraft wing supported by a concrete pedestal. 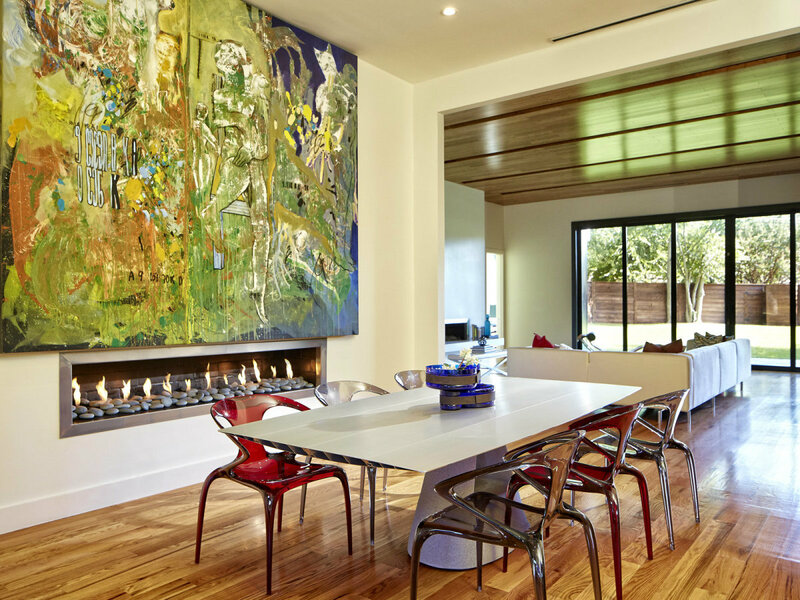 The large dining room painting works with an opposing mirror to create an intriguing dinnertime view. 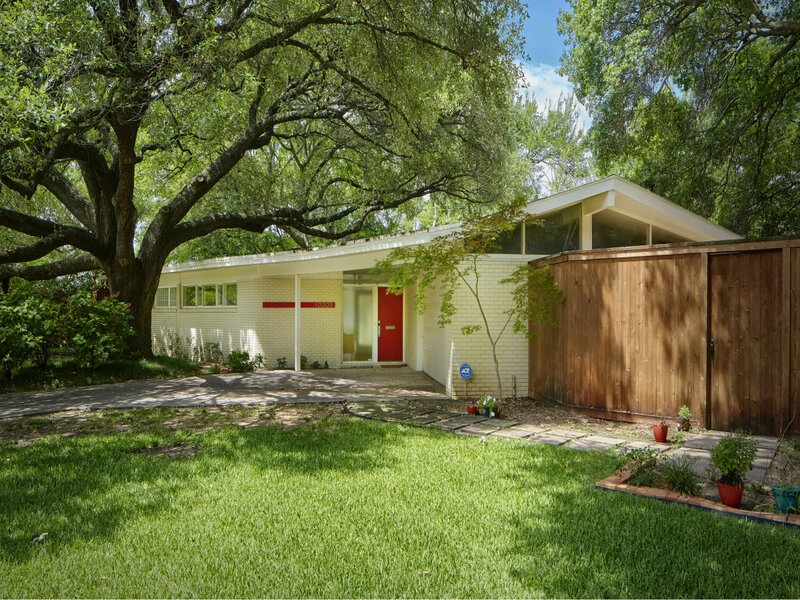 The Braniff House is a 3,700-square-foot Cecil Fulfer design. 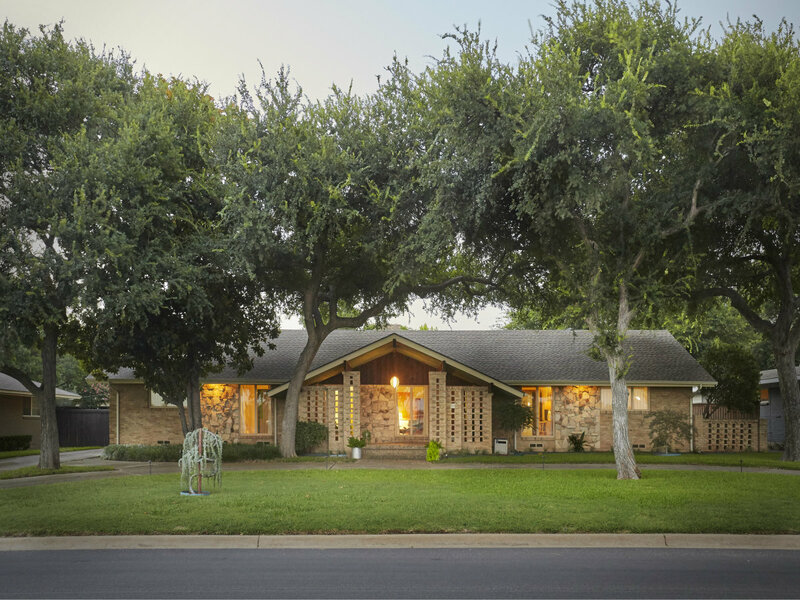 Built in 1963, it even maintains some of the home's original features, like the terrazzo floors, vintage laminate countertops, and the pink Jack-and-Jill bathroom. The home features pops of fun color throughout, including the orange-red Wendell Lovett fireplaces and pieces from the Braniff Flying Colors collection. Be on the lookout for Braniff planes and Pucci and Halston pilot and flight attendant uniforms on display. 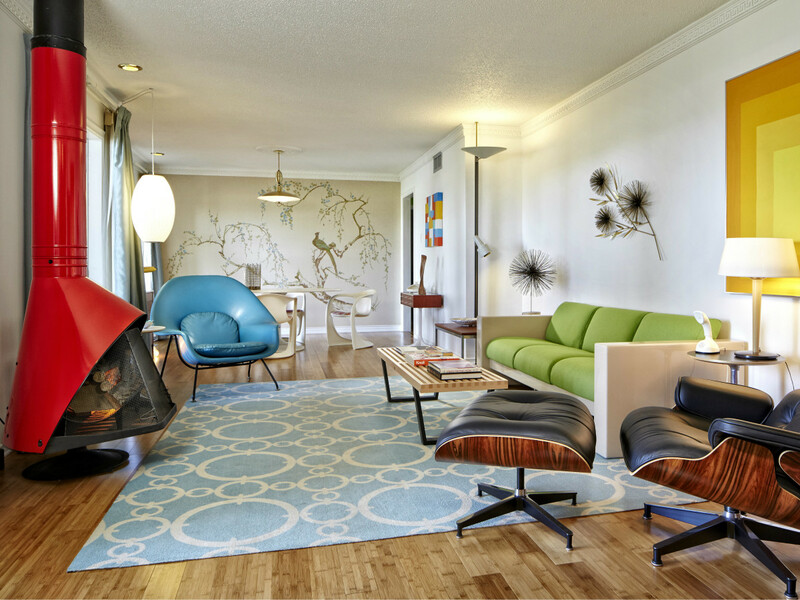 The home features pops of fun color throughout including the orange Wendell Lovett fireplaces and pieces from the "Braniff Flying Colors" collection. Be on the lookout for Braniff planes and Pucci & Halston pilot and flight attendant uniforms on display. 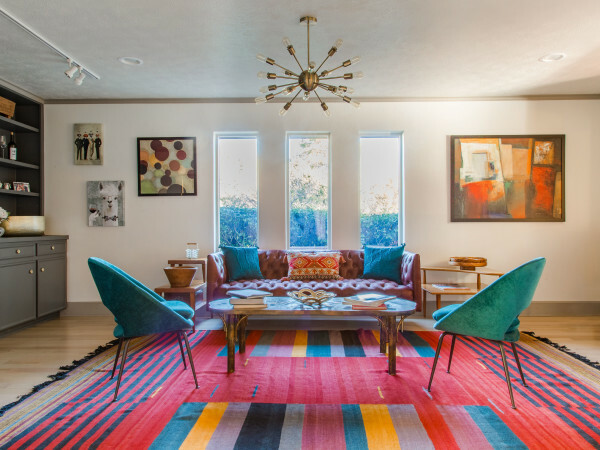 The home features pops of fun color throughout including the orange Wendell Lovett fireplaces and pieces from the Braniff Flying Colorscollection. Be on the lookout for Braniff planes and Pucci & Halston pilot and flight attendant uniforms on display. 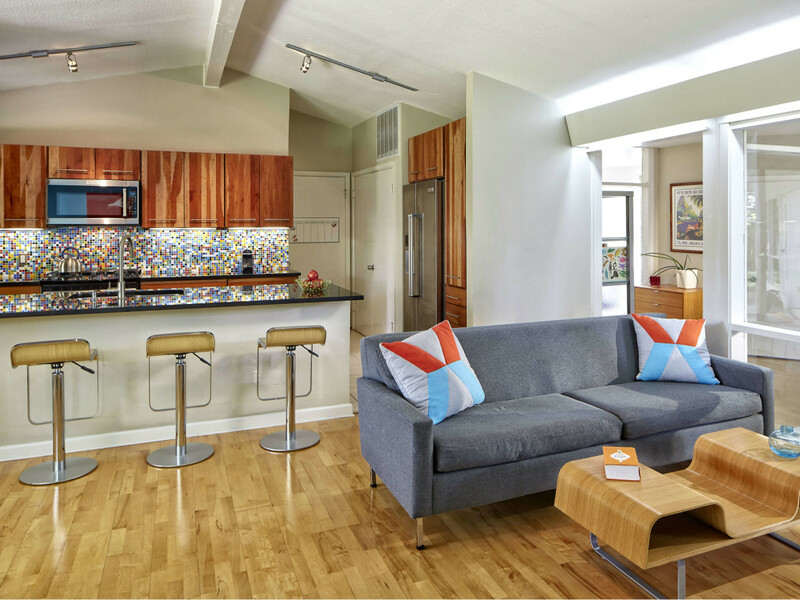 The home features pops of fun color throughout including the orange Wendell Lovett fireplaces and pieces from the Braniff Flying Colors collection. Be on the lookout for Braniff planes and Pucci & Halston pilot and flight attendant uniforms on display. 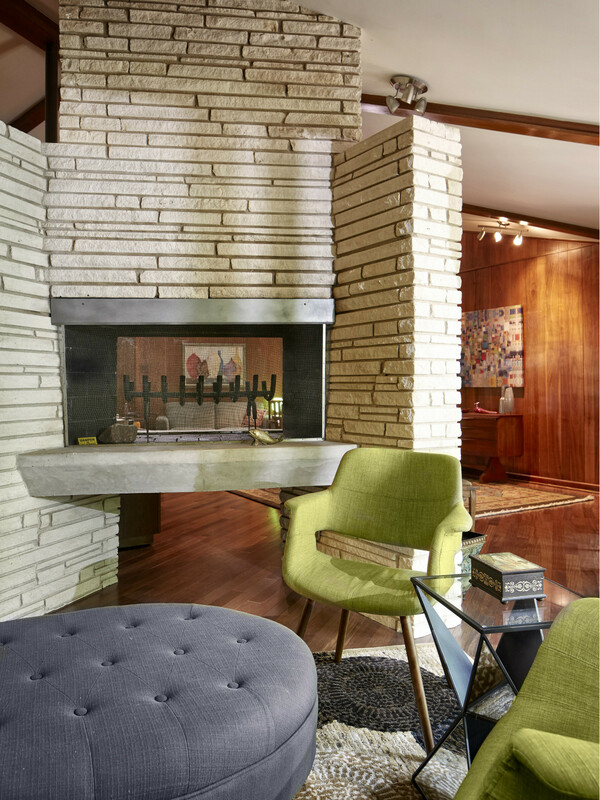 The home features pops of fun color throughout including the Wendell Lovett fireplaces and pieces from the Braniff Flying Colors collection. Be on the lookout for Braniff planes and Pucci & Halston pilot and flight attendant uniforms on display. The Y House gets its name from its Y-shaped footprint that was designed and constructed in 1954 by architect Gordon Nichols. This 2,435-square-foot home features an abundance of windows that overlook the inner courtyard and back garden. The home features an eat-in kitchen that acts as a family gathering spot. Classic Urban Homes expanded the property in 2014, adding a couple of bedrooms and a bathroom for the owners' children. 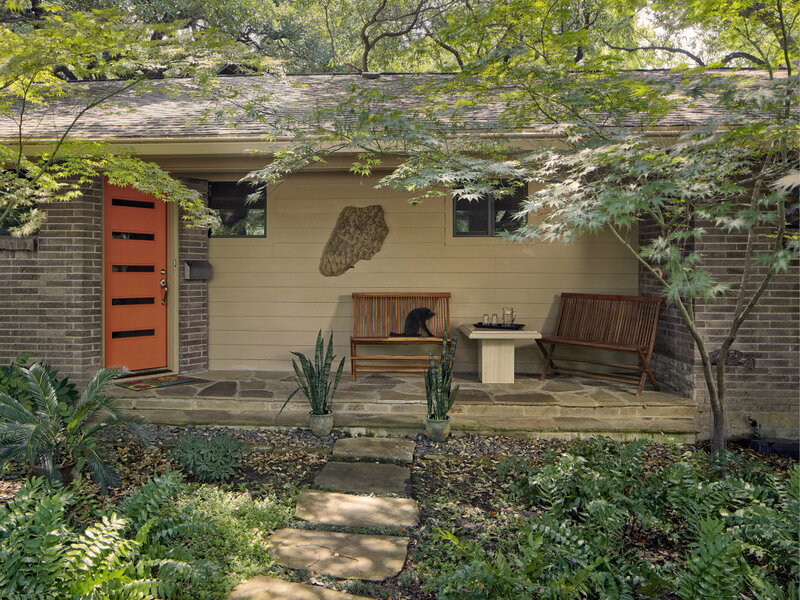 This 1957 Dave Huddleston home is dubbed the Creekside Home for obvious reasons — nearly every room features a tranquil view of the property's creek and surrounding wildlife. A two-story expansion in 2010 by Michael Bausch Architects took the property to 3,073 square feet. The walnut-paneled living area is anchored by a double-sided masonry fireplace that divides one large room into two more intimate, compartmentalized spaces. 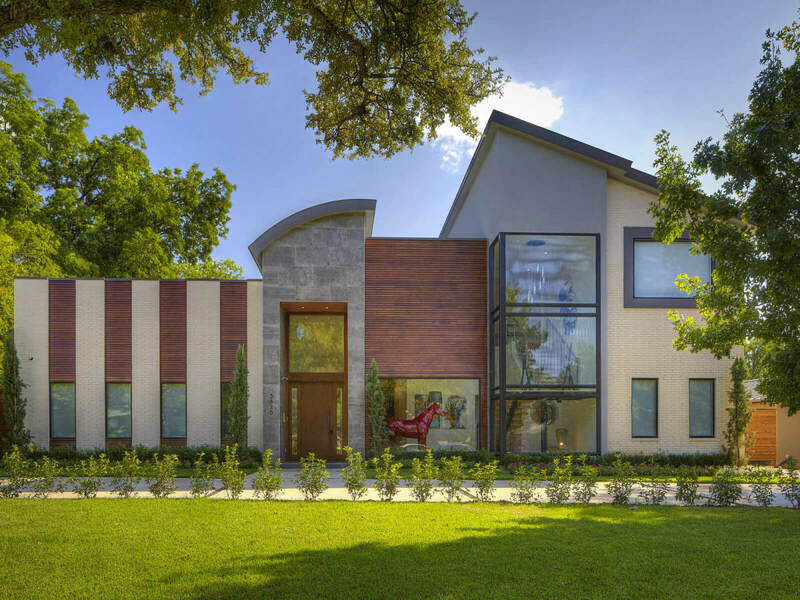 The 21st Century Modern Home is a 2015 construction designed by Armando Cobo. At 5,388 square feet, this is the largest home on the tour, yet it was built to Zero Energy Ready Home standards. Features include high-efficiency HVAC, windows, and building materials. This is a home built for entertaining, with large living and dining spaces that extend both inside and out. 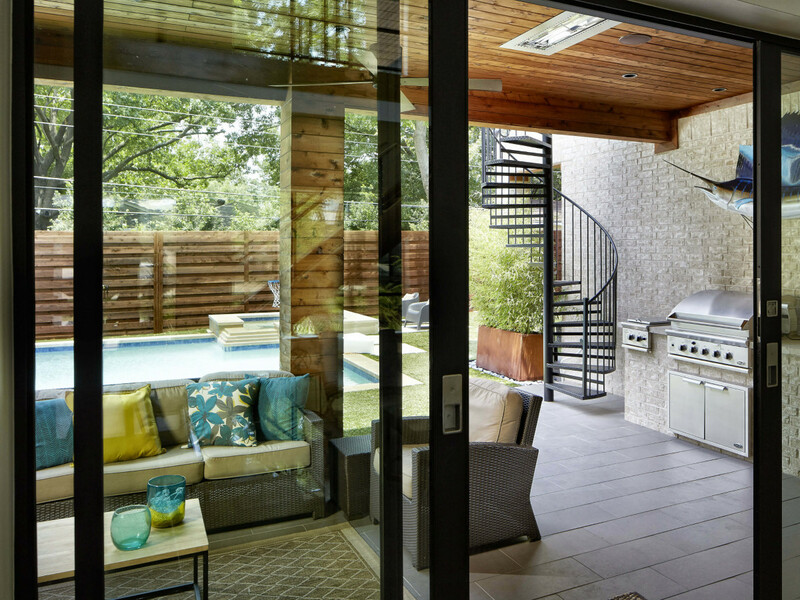 The home features a wine cellar, outdoor kitchen, and lounge area by the relaxing pool.